This past Sunday my friends and I went to Made in China for lunch. 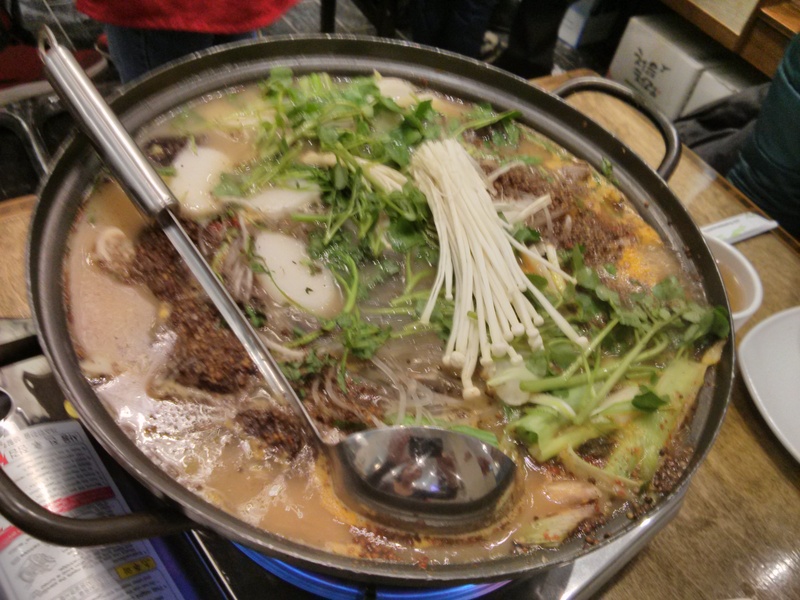 Despite the restaurant name, they also serve ramen, hot pot and Korean food. 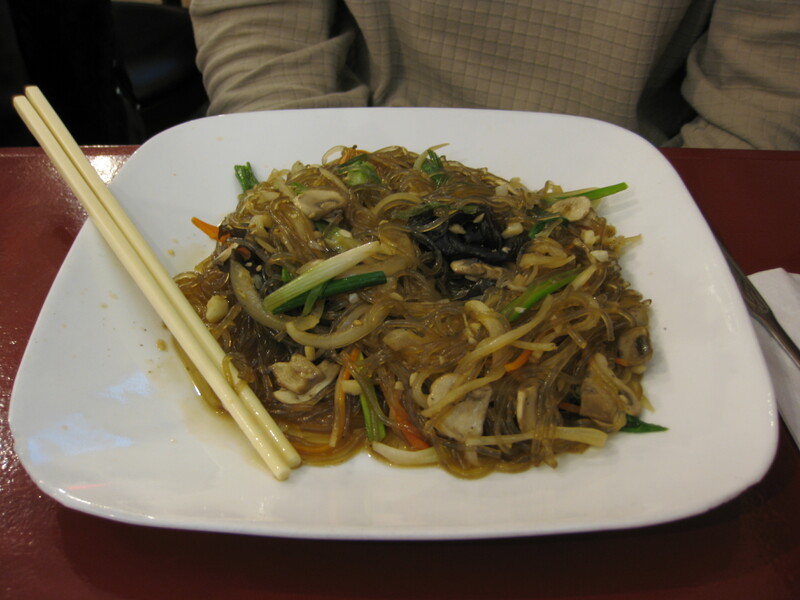 The Chinese food they serve is mostly from Southern China. The decor at the place is quite modern and the lighting is fairly bright. The service is quite prompt especially since we were a group of nearly 16 people. 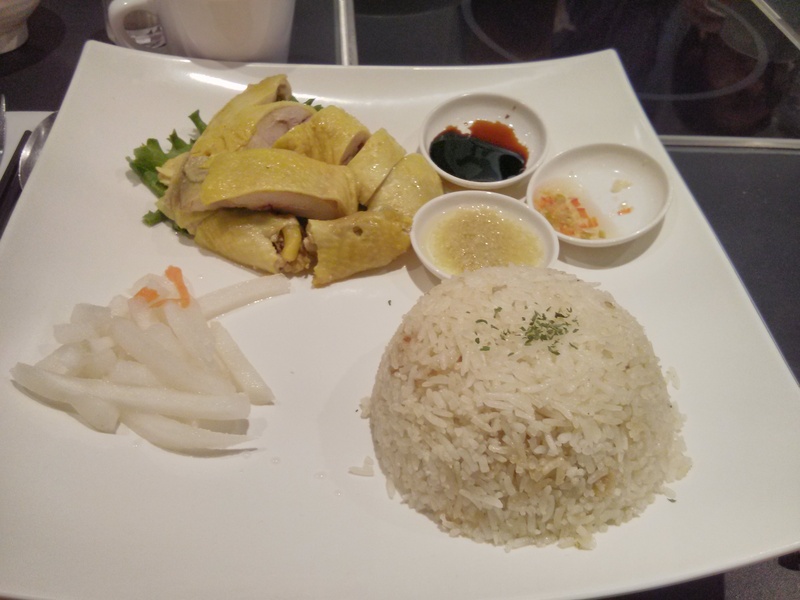 My friend got their Hainanese Chicken Rice and it’s the most authentic looking Hainanese Chicken Rice I’ve seen so far in Toronto. It actually has the black sauce, hot sauce and ginger sauce. The rice also looks like it’s been cooked in the chicken fat to give it flavour. 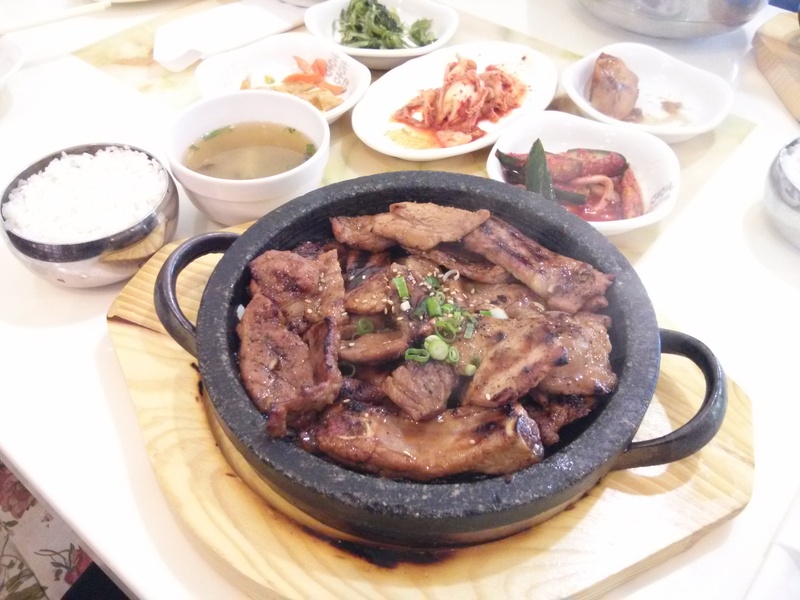 I ordered the beef sizzling platter ($6.99). The beef sizzling platter includes kimchi, daikon, spicy fried tofu, a bowl of rice and a choice of iced prune juice or pop. 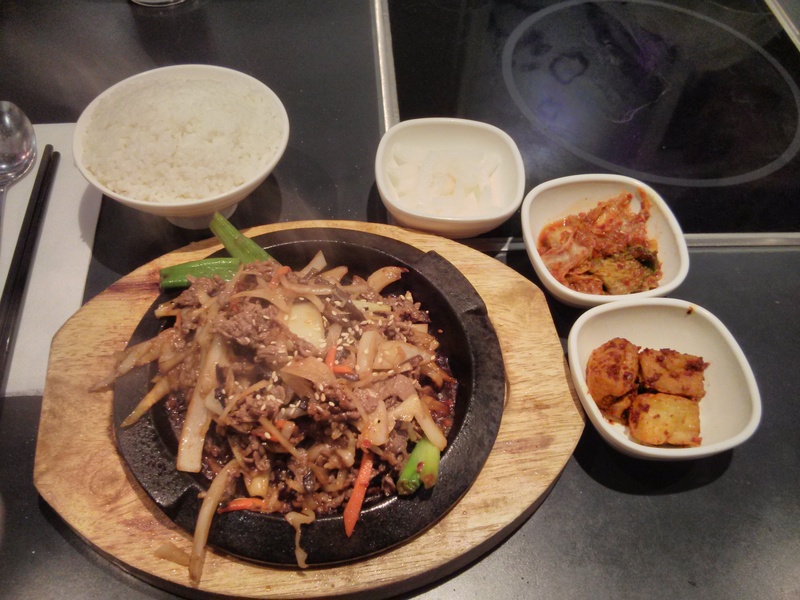 The beef sizzling platter is beef with onions, leeks, carrots with some sesame seeds sprinkled on top and served on a sizzling hot plate. It’s very filling. If you and your friends can’t decide what to eat then this is the restaurant for you with its variety of cuisine options! At first my high school friends and I decided to eat at Lim Ga Ne however we went at the wrong time (at 7pm on a Friday night) so we were in for a long wait since the people before us got the last table for 3+ people. Instead we walked over to Huh Ga Ne. Huh Ga Ne recently opened and it’s under the same management as Lim Ga Ne. It also has Lim Ga Ne’s cooks in the kitchen. The decor there is much nicer and it’s much brighter and it has more space compared to Lim Ga Ne. Huh Ga Ne doesn’t have the homey feel that Lim Ga Ne has; it looks more upscale and classier which may probably be due to the chandelier. 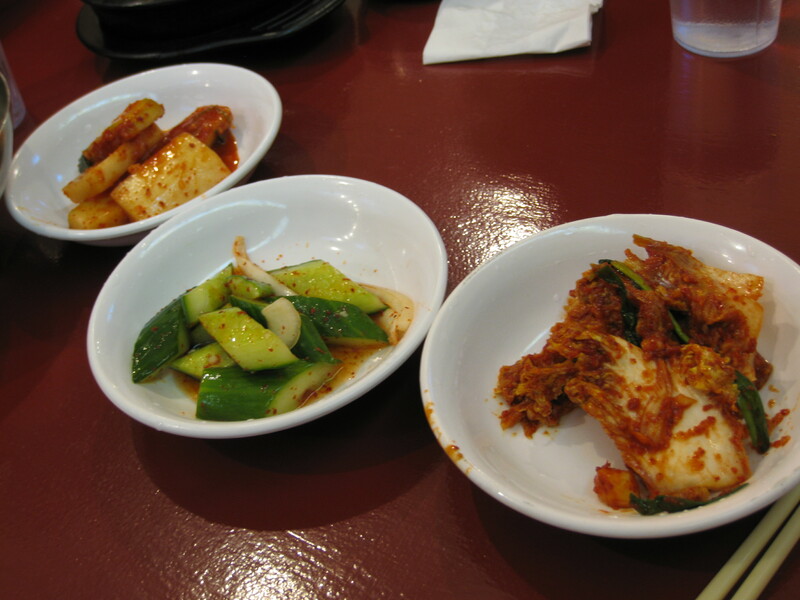 As with Lim Ga Ne, Huh Ga Ne has traditional style tables and seating and regular tables and chairs. 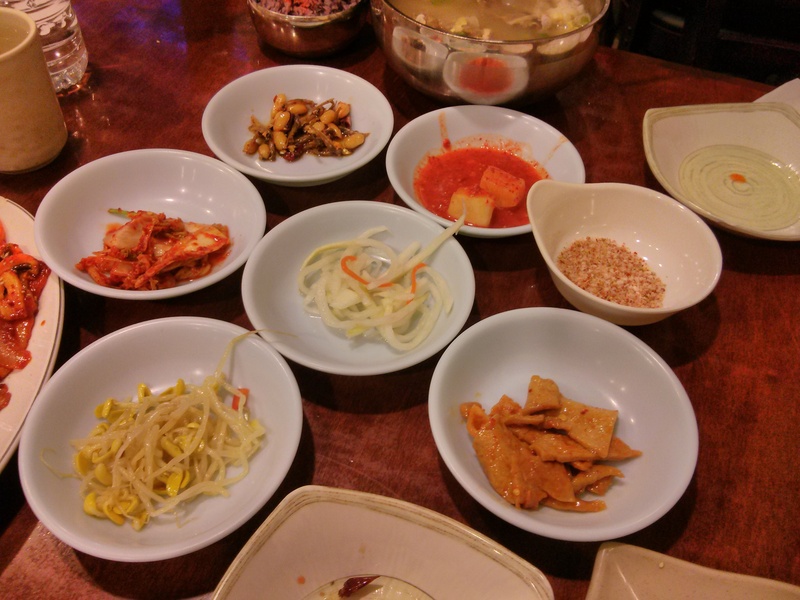 My friends and I sat at the regular tables and we had the kam pung ki ($15-medium) and soondea jeon gol ($25). 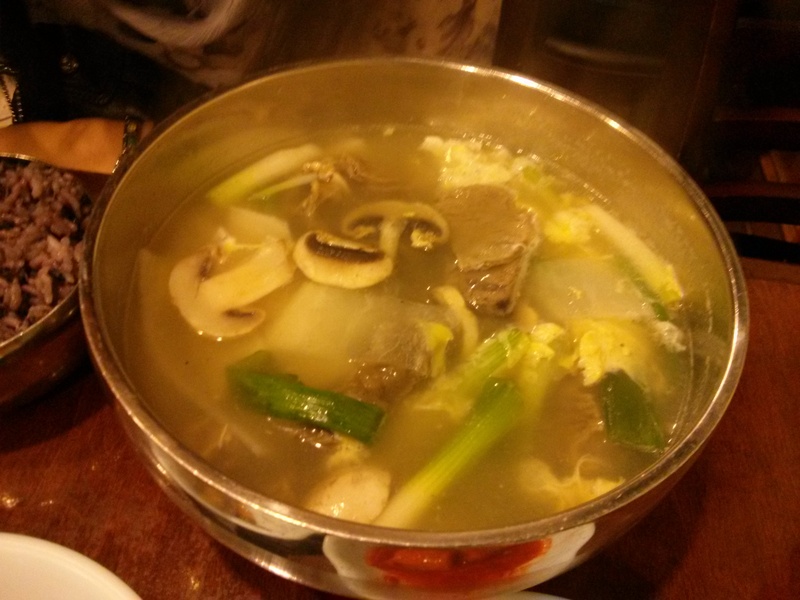 The kam pung ki is a fusion dish. 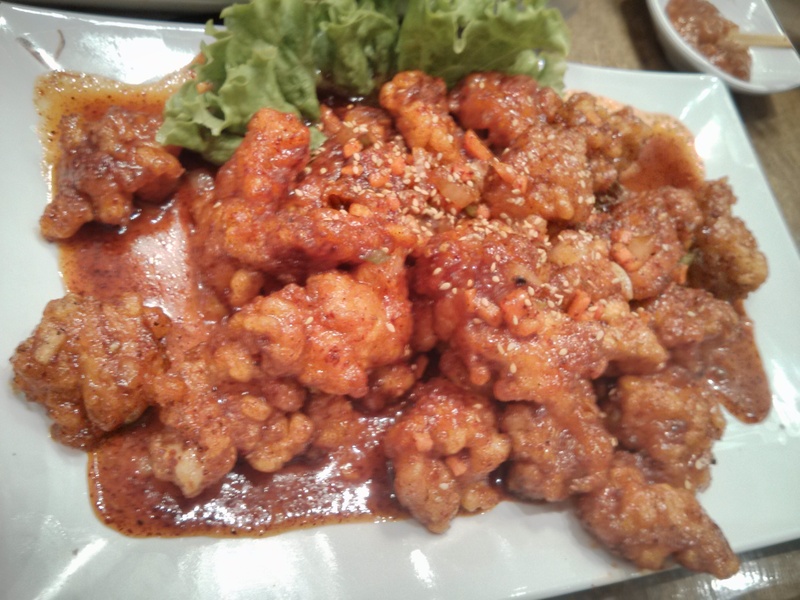 It is deep fried chicken with sweet, sour and spicy sauce. 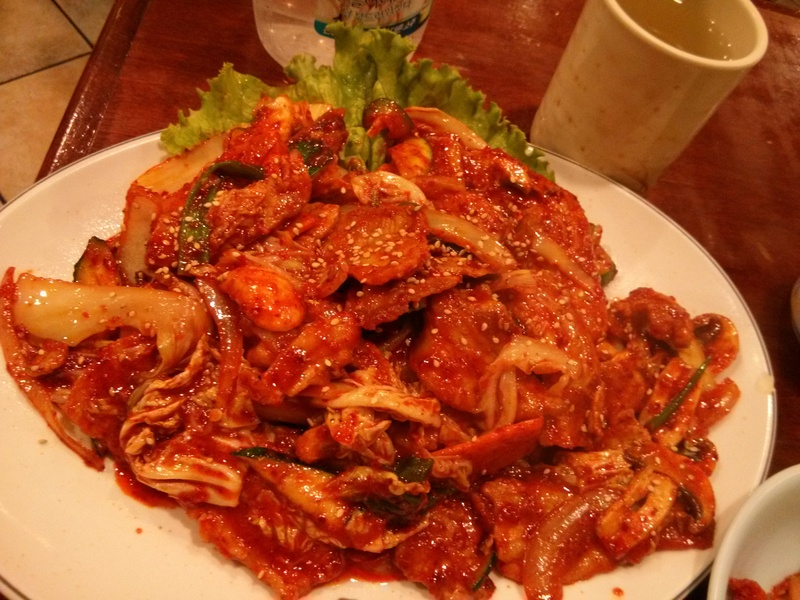 My friends thought that it’s almost like a spicier version of sweet and sour pork. The deep fried chicken can be abit fatty. 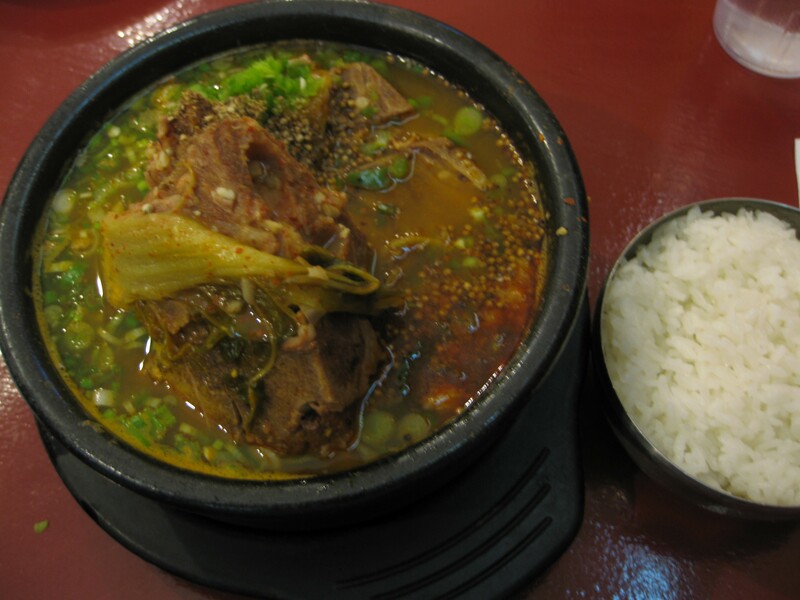 The soondea jeon gol comes with 2 bowls of purple rice since the serving size is for two people. 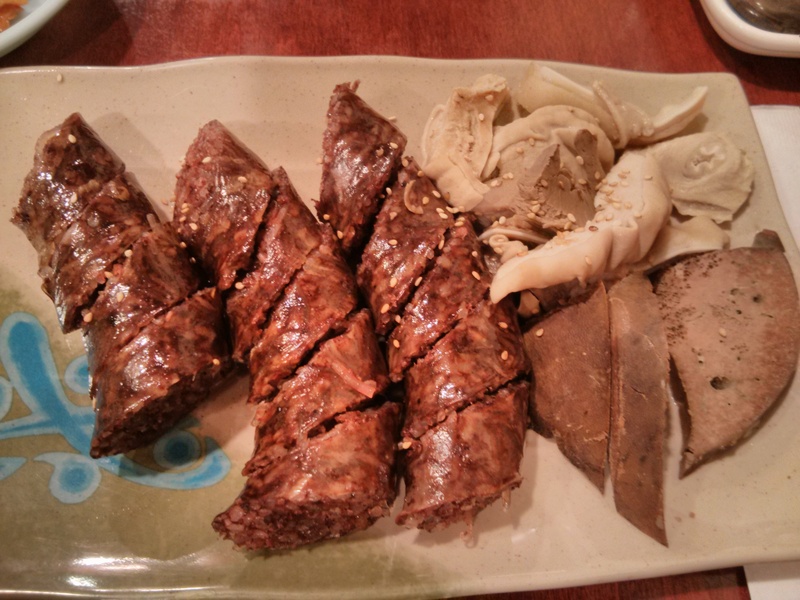 Soondea jeon gol is basically several types of korean style sausages with vegetables cooked hot pot style. 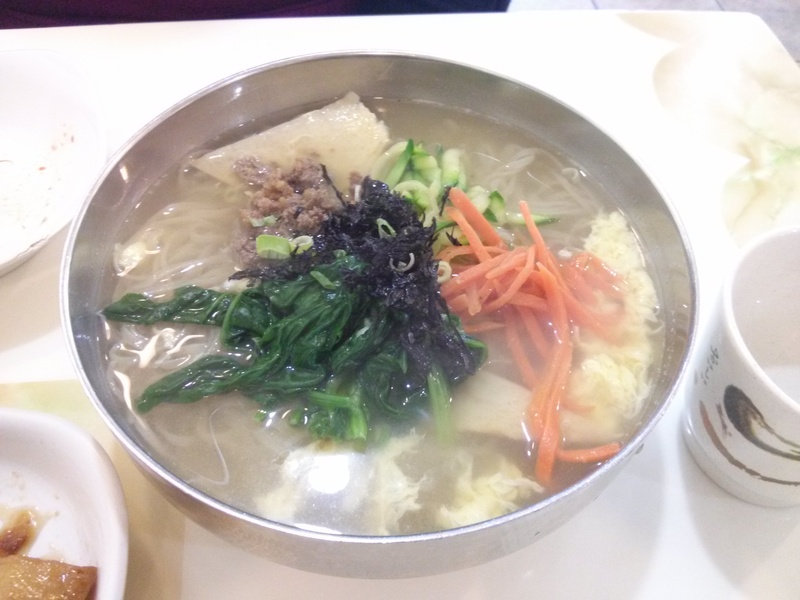 It has soondae (blood sausage), rice cakes, carrots, onions, napa cabbage, pickles, clear noodles, pig ears, enoki mushrooms and vegetables. 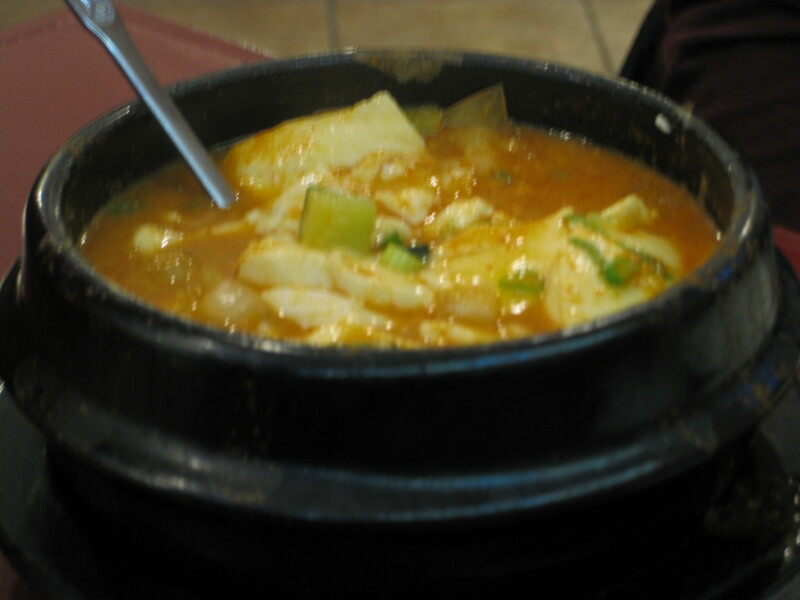 It’s quite delicious and it has the perfect level of spiciness. 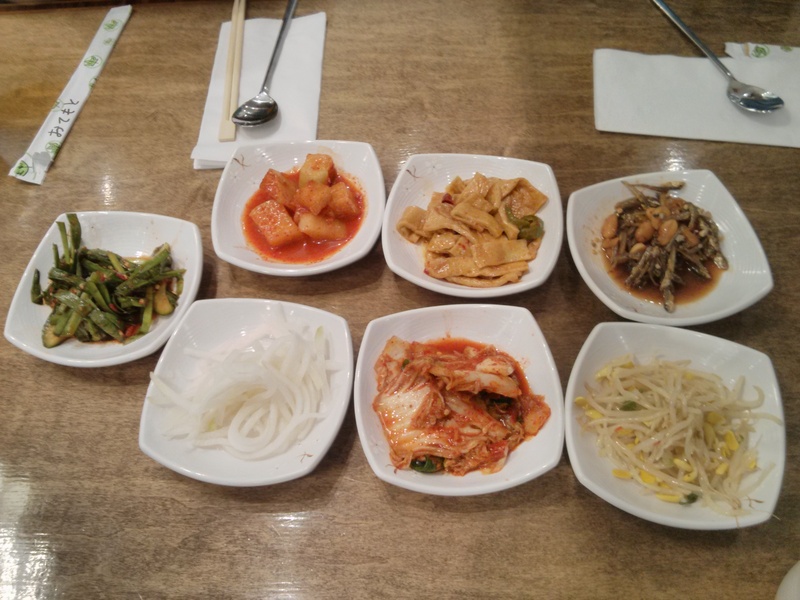 Overall, I found Huh Ga Ne to be on par with Lim Ga Ne in terms of pricing and the quality and quantity of food. 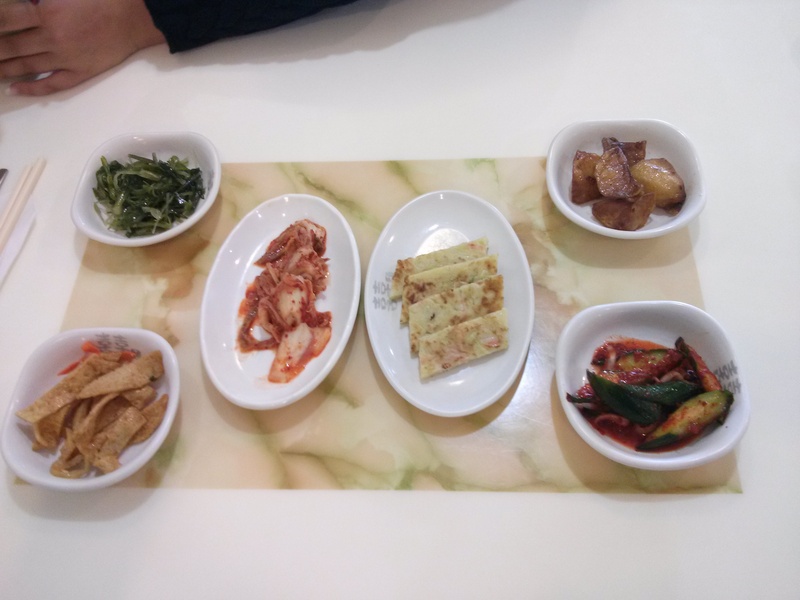 The only bad thing about Huh Ga Ne is that there was this smell that came from the food that other people in the restaurant were eating that reminded me of fermented tofu except my friend said that it looked like pork. If you can let that smell not bother you then I prefer Huh Ga Ne to Lim Ga Ne.